One species has come to sit atop the biosphere in much of the world, to dominate and transform the world’s ecosystems. A complex of environmental crises looms, and they can’t count on evolution to change their genetics fast enough to catch their fall. The crisis will have to be negotiated with social agreements. Will their political organizations be up to the task of establishing a sustainable culture without a population crash of unthinkable proportions? In all the history of life on earth, there is no precedent for this situation. …or maybe there is…maybe it has happened before that a species has encountered the productive limits of a finite planet, and responded with widespread and peaceful cooperation to avoid ecological collapse. My main theoretical contribution to the field of aging research has been the Demographic Theory of Aging. It says that aging evolved in order to level the death rate in good times and hard times, so individuals don’t all die at the same time, risking extinction in periods of famine or epidemic. The mathematics of populations is about reproduction in proportion to present numbers. This implies either exponential growth or exponential decline. Stable ecosystems cannot be built from populations that are growing exponentially or collapsing exponentially; and no animal species can live (for long) without a stable ecosystem. There are two common objections to this simple, straightforward logic. The first is that evolution doesn’t work like this. “Evolution is about one mutation at a time, and either that mutation produces more copies of itself or less copies.” My response is that this statement is not a law of nature but a hypothesis. It is a picture painted not by Darwin, but by evolutionary mathematicians of the early 20th century, including R. A. Fisher and J. B. S. Haldane. Though this particular model of evolution has been the basis of much theory for the last hundred years, the products of evolution demonstrate that group fitness frequently counts as much as individual fitness. The second is that animal populations can be stabilized by simple feedback. When there is plenty of grass on the plain, the rabbits increase in number; and when there is not enough grass on the plain, the rabbits starve, and their numbers diminish. My response is that this process is too violent to produce viable ecosystems. The problem is that deaths tend to clump together, and populations overshoot so far that they are bound to vanish to extinction. The rabbits keep eating and reproducing as long as there is grass to eat. After that final generation of rabbits has eaten the prairie bare, their offspring–far more numerous even than they–are born into a world devoid of grass, and they all die. The tool of my art is computer simulation, (and I wish R. A. Fisher had had computers to support his insight). Computer models show consistently that ecosystems relying on starvation to regulate their populations are subject to violent swings. In simulations, animal populations will bloom to hundreds of times the level that can be supported in the long run, only to collapse suddenly to extinction. The same simulations show that aging is able to stabilize this dynamic. Each individual’s death occurs on an independent schedule, so they don’t die all at once, and extinction is avoided. In the 19th Century, the Rocky Mountain Locust was a great success in the American Midwest. Huge clouds of ten trillion locusts covered the sky for miles in every direction. Locusts fell from the sky and covered the ground, so thick that a man could not walk without crunching them. Every green leaf was devoured, and the midwest became a dust bowl. The locusts drove themselves extinct, victims of their own spectacular success. The last locust was observed in 1902. Population regulation is an idea that has been considered and decisevly rejected by the mainstream of the evolutionary community. The consummate British naturalist V. C. Wynne-Edwards published (in 1962) a book about natural, evolved population regulation that was at once the denouement of his life work and the end of his career. His theory was ridiculed and dismissed, and two generations of evolutionary scientists could not breathe the words “population regulation” or “group selection” for fear they would suffer the same fate. But these ideas have begun to resurface in the 21st Century, and in fact it is impossible to understand natural ecologies without them. The lion cannot chase down a gazelle in the prime of life–not fast enough. We might imagine a time in the past when some proud, tragic lion evolved enough speed that he could easily catch any gazelle in the herd. The genes that allowed her to do this enabled her to provide more meat for her offspring, and they flourished and crowded out the slower lions as the lion population grew. Plentiful food assured that the population of super-lions grew and grew, until the herd of gazelles was diminished, the herd was picked clean, and the lions died all at once. This race of lions disappeared. Elsewhere, the lions that were just a little slower continued to live sustainably with their prey. What we are left with is a productive and stable demographic structure. Each gazelle matures through the prime of life, runs fast enough to escape its predators, raises a family. Then with age, the gazelle’s speed begins to lose its edge. The lions are able to catch the older gazelles that have already replaced themselves, but not the young ones in the prime of life. This is a stable population dynamic, and it is made possible by aging of the prey. Like almost all predator birds and mammala, lions use territorial social behaviors to limit their population sizes and protect their prey. There are a few spectacular fights to the death, but for the most part, the system is maintained through voluntary submission. One family will hold a territory, and several non-mating individuals may lurk in the wings but not reproduce and not challenge the territory-holder, sacrificing their individual fitness entirely, waiting for an opportunity like a pool of unemployed workers waiting for a job offer. 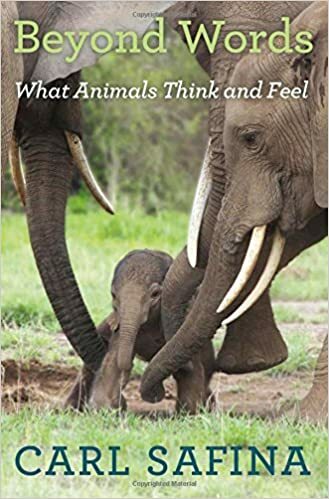 This week I have been reading Carl Safina’s wonderful new book about the inner lives of animals, and the languages and social structures of three groups in particular: elephants, wolves, and cetaceans. He is an engaging story-teller, and after hearing one drama after another of intelligent, collective actions, I came to a new appreciation of animal societies. Because population regulation is the center of my research, I found myself melding Carl’s ideas with my own, and thinking about conscious, communal responses to overpopulation. Elephants and orcas have much in common. Both orcas and elephants are apex predators, with no natural enemies. They are also nomadic, traveling huge distances and foraging over great territories. They use sound in ways that we might find difficult to imagine, communicating over huge distances. Both elephants and orcas recognize hundreds, perhaps thousands of individuals, their personalities and social relations, and have names for themselves, can call to specific others over distances of many miles. Both are guided in their migrations by elder matriarchs who accumulate decades’ of experience about feeding prospects in many and widely-dispersed locations. Leadership in elephant tribes and orca pods is established via an elaborate political system of social relations, supported by communication modalities that a few devoted scientists, studying them for decades, have only begun to decode. Because they live much longer than the species on which they depend, their demography must be tuned to plan ahead, or else they are in danger of devastating the species on which they depend for food. A bloom in the orca population could wipe out salmon, so that the salmon would not recover for a long time; elephants range over many thousands of square miles, and can devastate the foilage in a region because of their prodigious demand for food. I learned that orcas divide into two cultures. Some orcas eat fish but not mammals; others eat mammals but not fish. Both are highly social, and are extremely friendly, gentle, playful and careful in encouters with humans. Fish-eating whale pods might meet other pods of fish-eating whales and greet them as old friends, talking and touching. Likewise with mammal-eating whales. But fish-eating and mammal-eating clans ignore one another utterly. They overlap in territory, but they do not interact. They don’t fight, and they don’t talk. They swim right past one another. Warning – the rest of this column is my own speculation, and is not established or tested science. 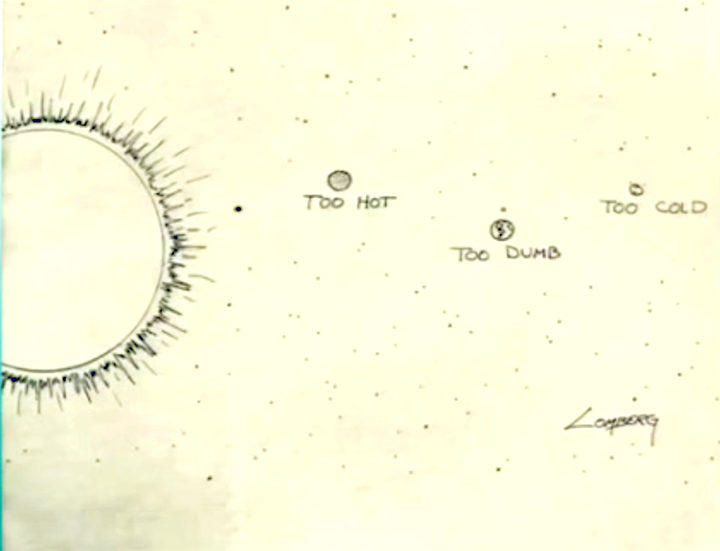 My theory fits the facts, but it is out on the edge. A species may gradually evolve population regulation built into its life plan, co-evolved within an ecosystem. This is a long, slow process. But when a species becomes social, it may learn to hunt with suddenly far greater efficiency than when individuals were hunting separately. Social learning is much faster than the “genetic learning” that is accomplished via natural selection. The genes don’t have time to catch up. So when a species of animals learns to hunt socially, it must also learn to control its population socially. Through territoriality and other agreements–through culture and communication–the population group must maintain restraint, or it will devastate its food supply and starve to extinction. I imagine that orcas and elephants each faced this problem many tens of thousands of years ago, perhaps hundreds of thousands of years ago. They hunt cooperatively with devastating effectiveness. As they learned to hunt together, they must also have learned some scheme for apportioning the privilege of reproduction, an essentially political process. Neither species is territorial in the usual sense; they roam over huge, overlapping territories. Via communication and enforcement systems unknown to science, they have maintained their populations at levels that allow them to feed their prodigious biomass comfortably and with little fear of starvation. All this must have changed in the 20th Century, as humans blundered into their ecologies, killing huge numbers of whales and elephants, and laying waste to their food resources. At the same time that new political agreements, new negotiations and cultures were necessary for their survival, we have killed the oldest, largest, and wisest matriarchs who might have guided this process. In my fantasy, the worldwide Orca community ate only fish until they faced a crisis in the mid-20th Century precipitated by human overfishing. They shared information and held meetings about the extent of the damage. They were shocked and saddened by the oblivious, blundering behavior of humans, but they were too wise to try to go to war, to take retribution against humans. Perhaps they knew that this would trigger an extermination campaign that went beyond harpoons to machine guns. There was a deep divide in opinion; some orcas thought they had no choice but to expand their hunting to walruses, seals, and porpoises in order to continue to live with the freedom they had once known; others must have thought that hunting mammals was barbaric, akin to cannibalism. Perhaps the two orca cultures agreed to disagree, and have lived in separate communities for decades, though their territories are not at all separate. Can humans learn from animals? Man is in uncharted territory because in the last 150 years we have learned to increase our life span to the point where our population growth far outstrips the growth of our historic food species. We have made up the difference by harnessing fossil energy sources to expand our habitat, and by farming on a global scale, transforming natural ecosystems into artificial ecosystems. We don’t know how long this process can continue, and we don’t know whether our engineering can secure the fragility of artificial ecosystems. We have not yet begun to face the Law of Unintended Consequences. Hence “uncharted territory”. But perhaps we have something to learn from the orcas and the elephants. If your resaearch helps us all live much longer…you will have helped us reach extinction that much faster! Interesting blog, as usual. You explained that Orca pods with different food sources do not interact socially, while those with similar food sources do interact. Your hypothesis that social interactions serve to regulate the use of resources seems sufficient to explain the evolutionary development of the interactions only among groups competing for resources, without having to imagine actual negotiations between different groups. I wonder how the patterns of behavior are passed on from generation to generation? > this process is too violent to produce viable ecosystems. The only example I can think of is the suicidal bacteria but I’d hope for at least a multi-cellular one. Some fish and beetles eat their young when conditions are overcrowded. I think of this as a form of population control. This week, I am on holiday in the Pacific Northwest, climbing in the Cascades and walking on the beach. Animals in national parks are tame and fearless. Deer walk right past me, chipmunks will pick a nut from my hand, even the seagulls allow people closer without flying away. The classical explanation for this is that there is standing variation in animals on the dimension of boldness–shyness. In a protected park setting, those that are more shy don’t get the extra food from people, and so the bold ones thrive and have more offspring, and those offspring tend to be bolder, and thus the genes for boldness are concentrated. But this cannot be right. Evolution is a slow process, requiring many generations even with efficient selection, as in a lab setting. No natural selection process could be expected to produce such dramatic behavior changes in the short 70-100 years since these parks have been in existence. Boldness of animals in parks must be a learned behavior, learned in the brain and not the genes. Some animals must be learning from the experience of others. This bespeaks a level of awareness and sophisticated communication that we don’t usually credit to chipmunks and birds and deer. My personal rule of thumb is that populations have 10% Hard Shy, 10% Hard Bold, and the remaining 80% that will be swayed by observing the success of others. This will give you the effect you saw in the park animals. It’s faster than evolution and doesn’t require extensive individual learning. The 80% will think of themselves as always having been Shy or Bold after they have adopted that position. But with strong influences it’s possible to have a vast population change within a generation. And the 10% “Hard” position at either end will always seem out of step with the rest of society. Of course this applies to human populations as well, and explains massive societal shifts in attitude toward race, sexual orientation, and hard left or right politics. I’m not sure what qualifies issues to end up at either end of the pole. I like your characterization of Shy or Bold because It captures the element of emotion and it brings with it notions of individual risk and population fitness in a changing environment. Having been raised on a ranch with a BB gun, I can attest to the fact that range is a learned behavior in birds from watching me shoot other birds. All the different species of small birds begin by being too close to me. As I shoot one of them of any species, the rest of the species of birds see what happened and they calculate the range of my BB gun. They fly away as I approach them and get almost in range to shoot one of them. Then for Xmas I got a pellet gun with twice the range of my BB gun. Several birds died the first few days; but by the end of the week, all the different species of birds have learned the range of my pellet gun. They fly away as soon as I get within range of my new pellet gun; it even seems like they have talked to each other and spread the word to birds which have not observed my shooting. Worse than that, the birds see whether or not I am carrying a gun. If I am unarmed, I can easily get within shooting range of many different species of birds, as I walk home from school; but as I get home and retrieve my gun, I find that I can no longer get within range to shoot a bird; because they can see that I am carrying my gun. They understand what a gun is, just as well as a human understands; they even know which way it is pointed! I have also watched birds play a game of “ha, ha, you can’t catch me” with my cat. They will land just out of cat-range and tease my cat. don’t talk. They swim right past one another. could it just be the fishy breath? Probably is political reasons why evolutionary scientists have so much trouble admitting your theory. Accepted theories in science during any given time period, strangely line up nicely with the cultural and political thinking of the day. So just as cultural relativism was getting going, we got the theory of relativity in physics and relative environmental influences in psychology. Survival of the fittest lines up nicely with capitalism, and came about at the peak of power for the British Empire while it was in the libertarian Victorian era. The theory helped give a scientific basis to the political ideology. Although I am not sure why liberty & capitalism has to be opposed to co-operation – think of how many businesses and people have to work together for mutual benefit to deliver a finished automobile to your local dealer. Or how tech companies are constantly working together to create a deep ecosystem of products and opening of innovation for smaller companies. But a belief I have is that the people in power have to simplify things down for the average citizen to understand. So capitalism gets reduced down to people competing with each other only for their own selfish advance, with no regard for the society. And then if that is being simplified, the ‘science’ that backs it up must also be simplified down to sound bite size. Hi Josh, Assuming we find some easy way to stop the aging in humans, how long do your computer models predict the human species will last before it becomes extinct? My guess is that it will happen in about the year 2516, after the non-reproducing senior citizens (like myself) out number the reproductive segment by 10 to 1. As the famine sets in and the food fight begins, the senior citizens win the war, only to find there is no one left to reproduce. Maybe we need to freeze-dry some eggs and sperm?